Scrubbing and Washing aren’t usually at the top of the list of what I consider fun activities. Which is why I dream up as many methods as possible to make those tasks, if not entertianing, at least more pleasant. I employ every trick to get the job done, from playing my favorite music while cleaning and collecting attractive, ergonomic, wooden-handled scrub brushes (with replaceable brushes), to setting timers to increase the “fun” factor and rewarding myself with treats (hello, champagne). Another useful strategy is springing for fragrant candles and cleaning products. Lately, my go-to candle has been the Rose Quartz scent in the new Kendra Scott line (mentioned in “Style” on pg. 20), but I’m also partial to Mad Darling soy candles by local chandler, or candle maker, Jessica Broussard (maddarling.com). Marigny Moonlight (sandalwood and rose) is my favorite, but Creole Garden (tomato leaf and moss) and Bay St. Louis Breeze (salt and water lily) rank high, too. 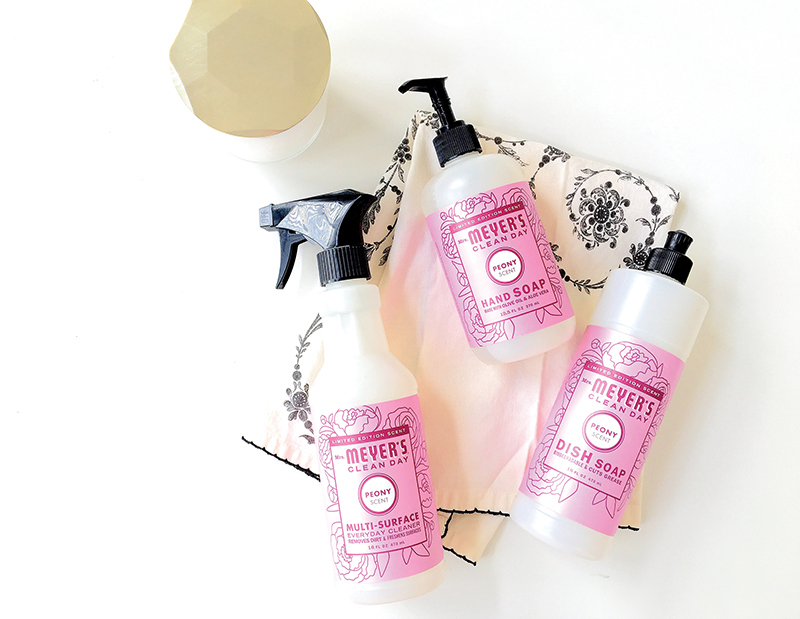 When it comes to cleaning products, I tend to favor Caldrea and occassionally Method brand, but Mrs. Meyer’s Clean Day (mrsmeyers.com) has me smitten with its Peony scent. We also usually have Basil, Lavender and Lemon Verbena on hand. It’s easy to find around New Orleans at Whole Foods, The Fresh Market and various other grocery and hardware stores. I’ve found that while the other brands smell lovely at the time of use, the scent of Mrs. Meyer’s lingers about the rooms for hours. Even with candles and luxurious cleaning products, I still don’t really look forward to cleaning, but I do at least enjoy the now sweet smell of successfully completing the tasks.